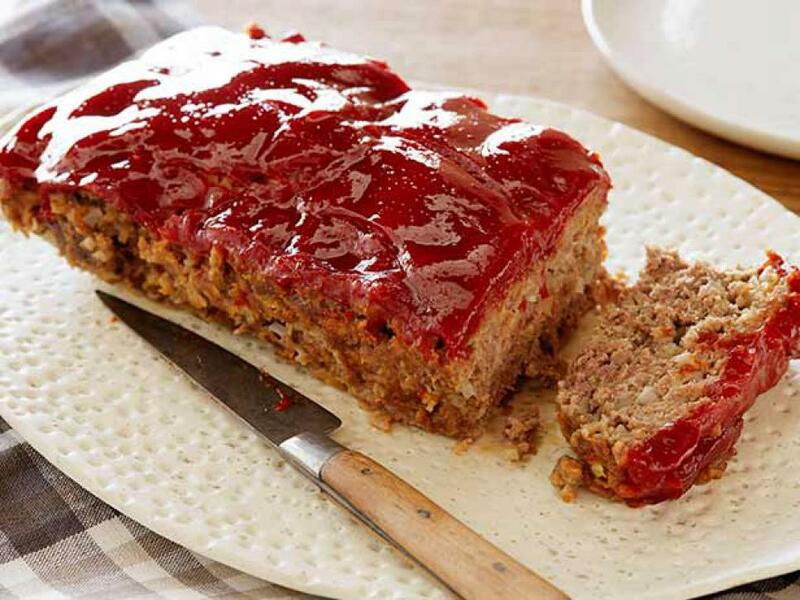 Take a culinary tour around the country without leaving your kitchen with these recipes from Guy's favorite stops. Inspired by Singaporean cuisine, Chef Gina Galvan of Chomp Chomp Nation is cooking up some "exotic tropical Chinese food" in a food truck. 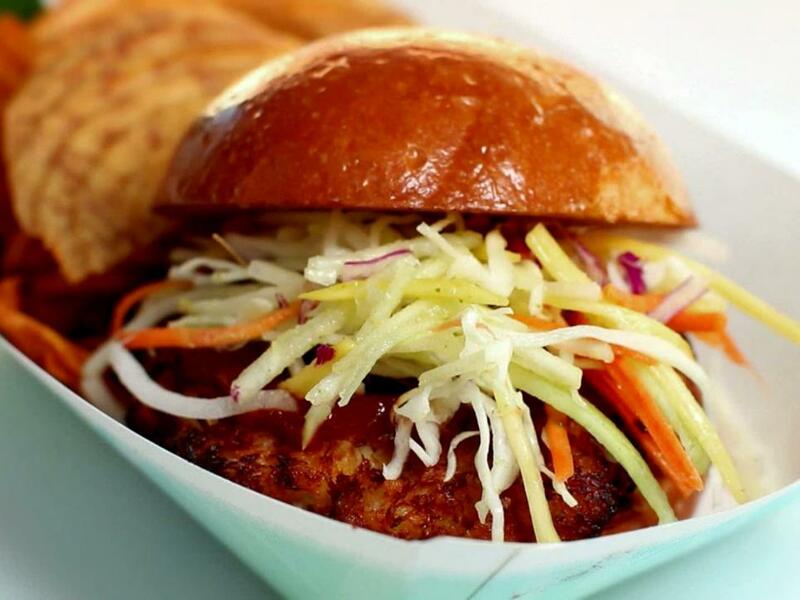 Guy loved the crunchy, sweet and salty crab cake topped with slaw and spicy ketchup. Chef Robin Ganir and his wife Jean Nguyen are mashing up Filipino and Hawaiian flavors into new sensations at Broke Da Mouth Grindz. 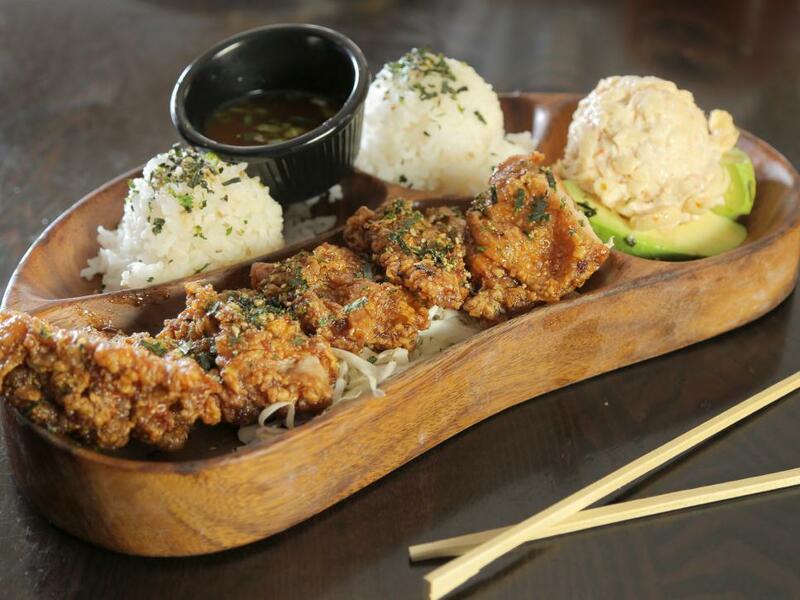 The Garlic Furikake Chicken has outstanding over-the-top crunch and the contrasting sauces make it sing. 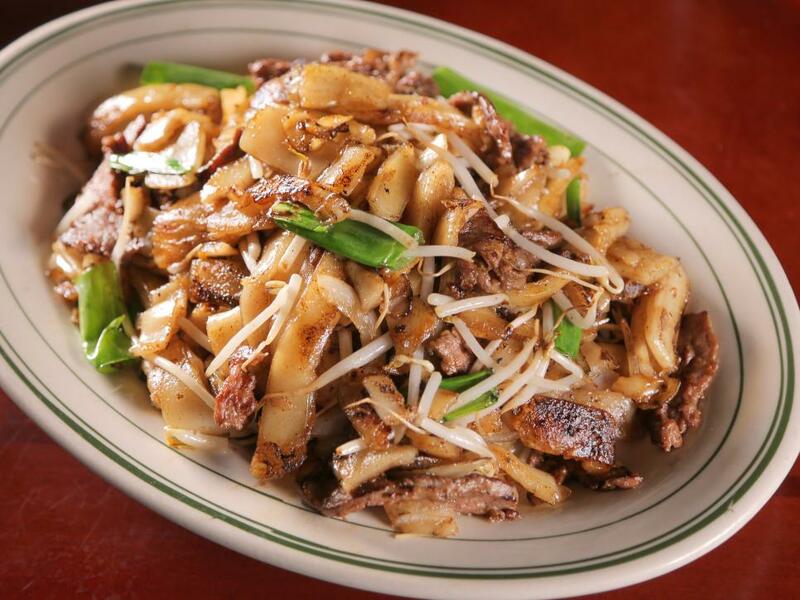 The Beef Chow Fung from Sun Wah BBQ in Chicago has incredible house-made rice noodles. 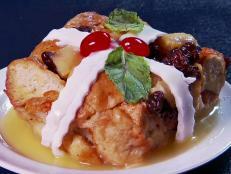 Check out the recipe below to make them at home. 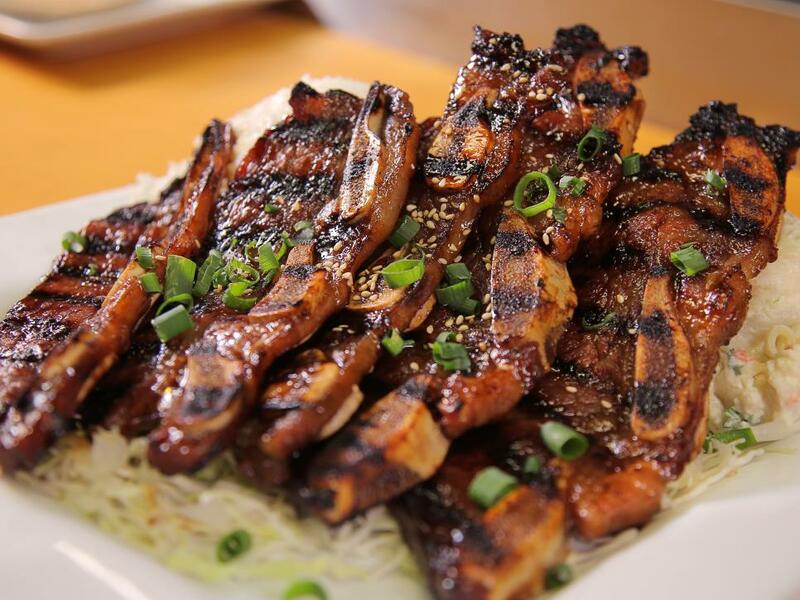 Del Seoul is owned by a brother and sister team who turn out creative Korean cuisine with California influences in Chicago. 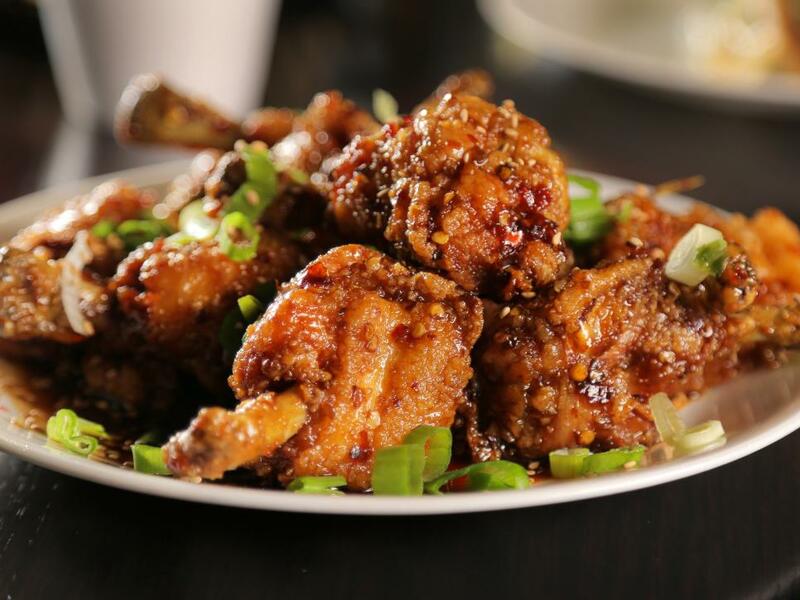 Be careful, you might start dreaming about the crispy K-Town Chicken Wings. 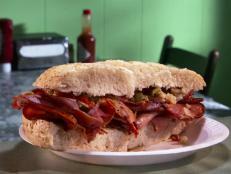 This take on the classic sandwich from Storm Castle Café in Bozeman, Montana is one of the best breakfast dishes Guy has ever had on DDD. 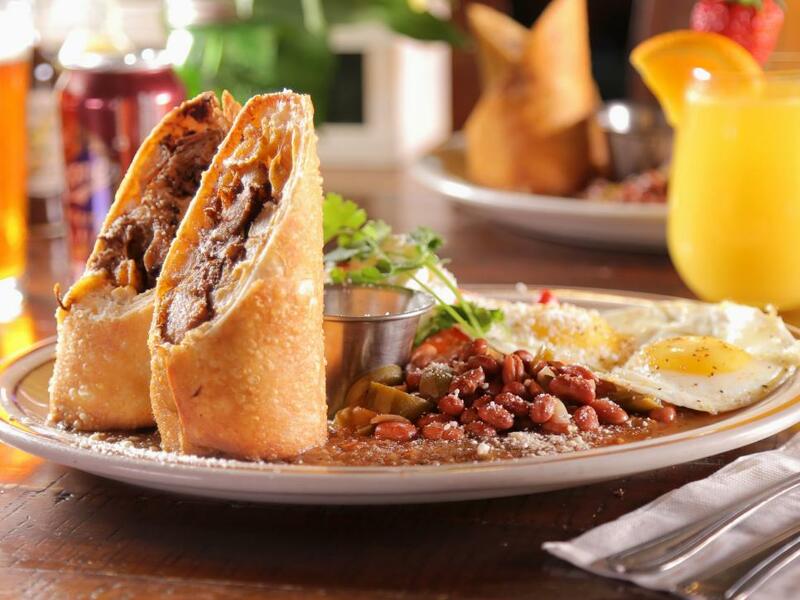 The star of this dish, from Storm Castle Café in Bozeman, Montana, is the slow-roasted pork leg which is combined with breakfast potatoes and cheese in a tortilla and then deep fried. 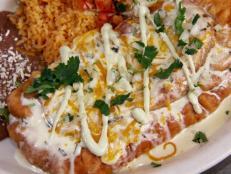 Serve it with fire roasted salsa and homemade queso. 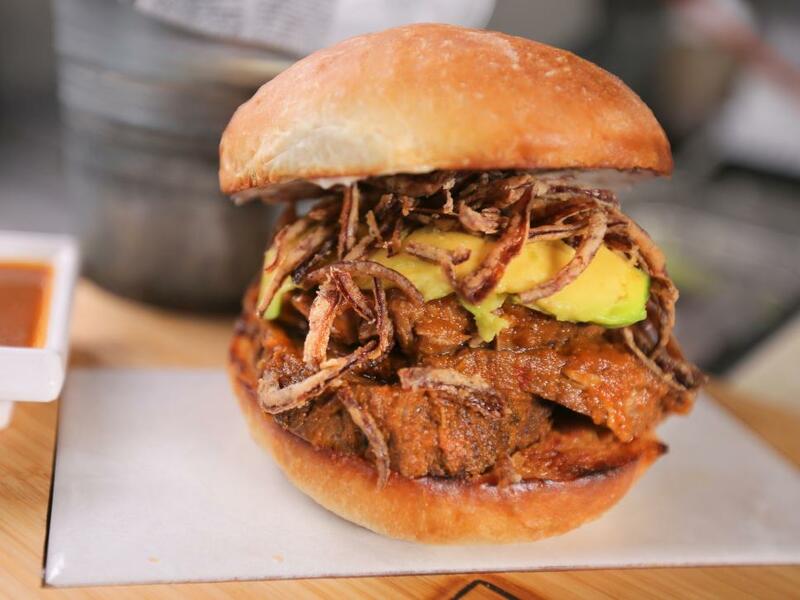 It takes six to seven hours to make this slow-roasted Venezuelan dish from La Terraza Rum & Lounge in Little Rock, but it is worth it. 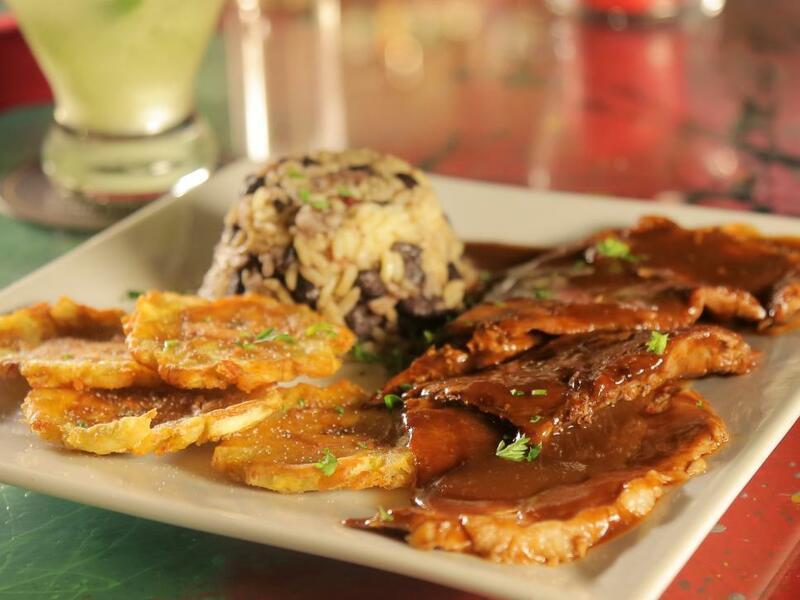 Serve it with beans and rice and fried plantains for an authentic experience. 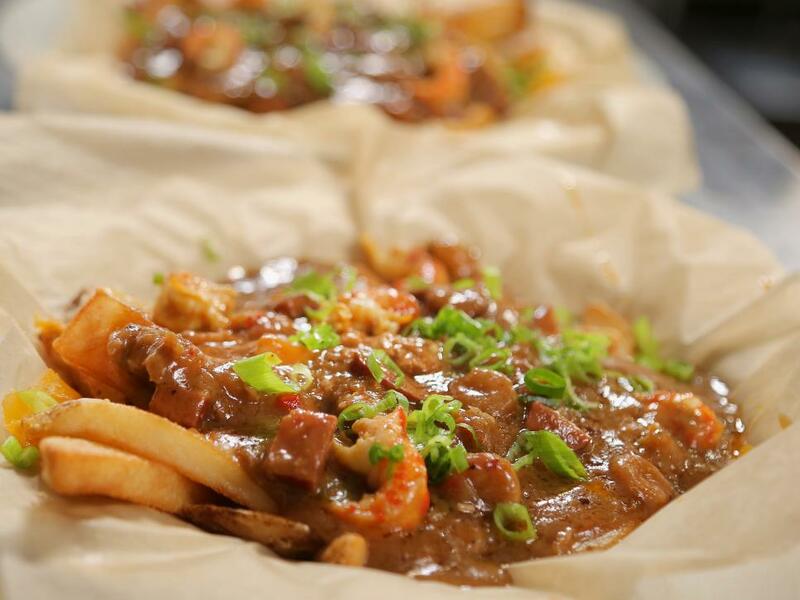 Chef Georgina Jones, from Flyaway Brewing Company in Little Rock, makes a thick and spicy gumbo packed with shrimp, crawfish, chicken and sausage and ladles it over crispy cheese fries. 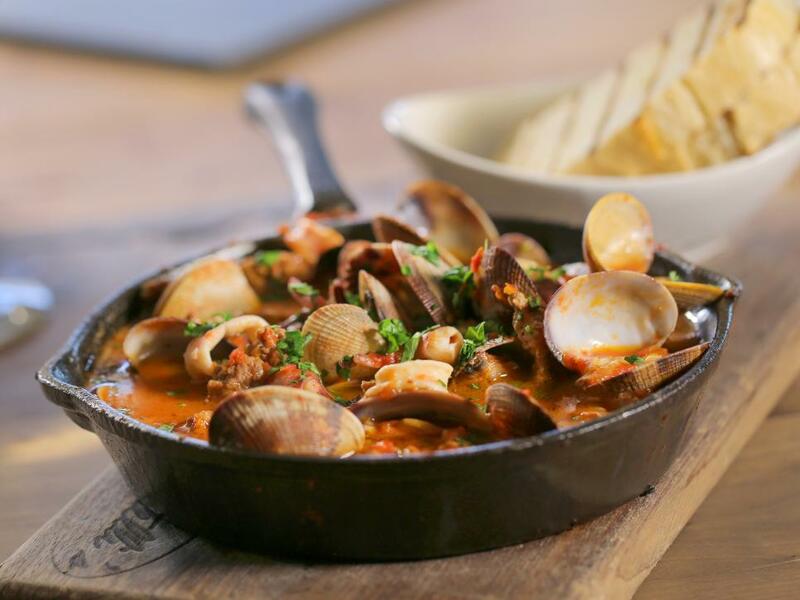 “Not your average Greek restaurant by any means,” Guy declared of Axios in Denver, where owner Telly Topakas draws on traditional recipes from the motherland and tweaks them with modern touches (think lighter dishes without so much oil). 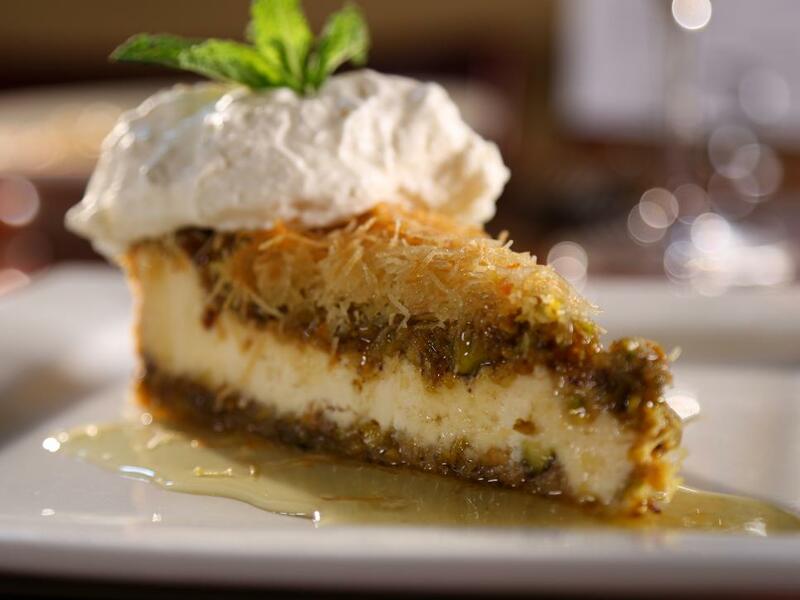 Torta Kataifi is their take on a Greek ricotta cheesecake topped with toasted shredded filo pastry, pistachios and drizzled with an orange syrup. 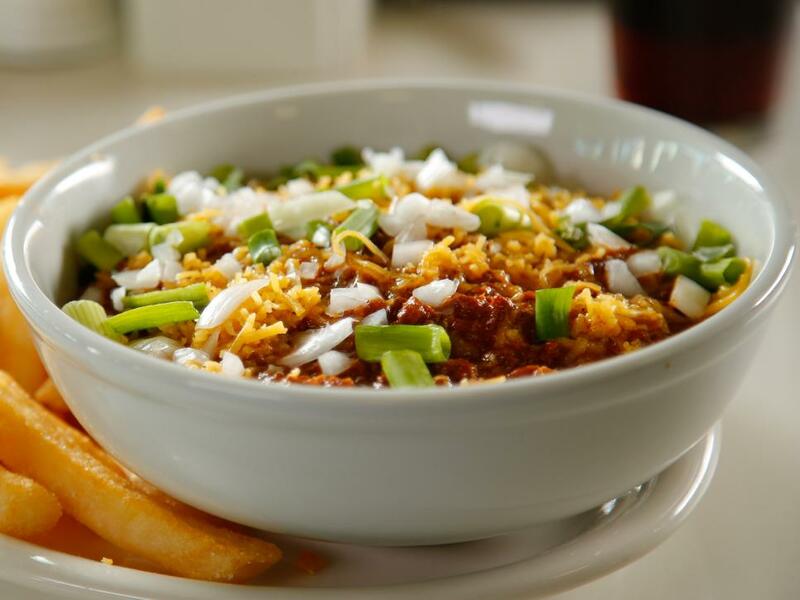 At Wrigleyville Grill in San Antonio, Chef Demetrios Tingas, aka Jimmy, spent 41 years in Chicago and brought his hometown staples with him when he moved south. 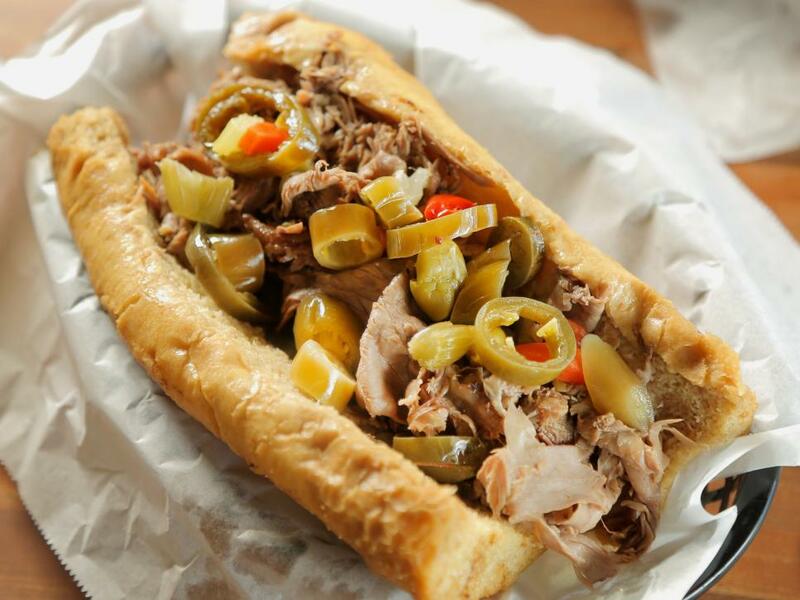 “That’s as close as it is to the original,” Guy said between bites of the Famous Italian Beef. The homemade noodles for this dish are infused with umami-rich porcini powder. 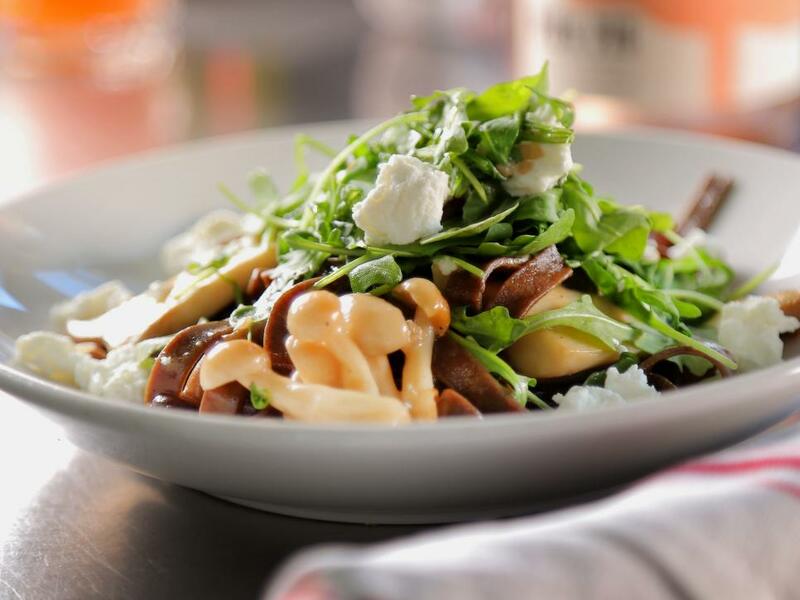 High-quality local mushrooms and creamy goat cheese add richness to this pasta creation from Zazu Kitchen and Farm in Sebastopol, California. 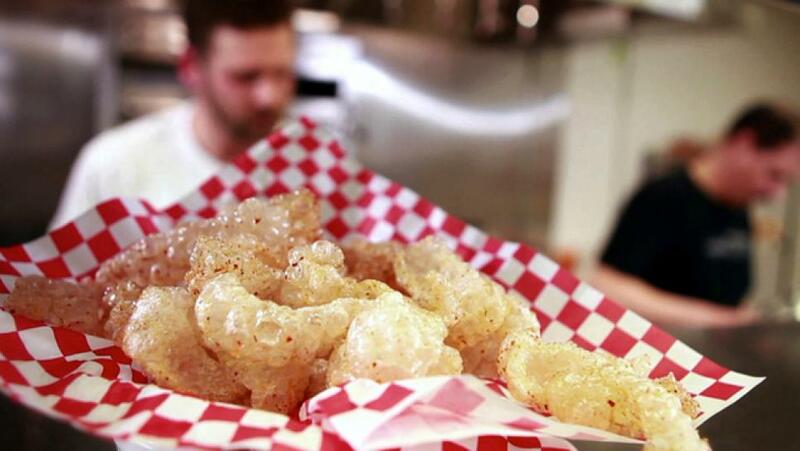 These house-made pork rinds from Highland Tavern in Denver are coated in an addciting chile-lime salt. Guy said were the best he has ever had. 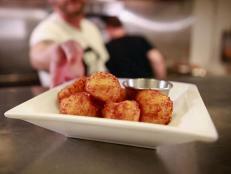 At Kitty Hoynes in Syracuse, NY, Chef Damien Brownlow serves up pub food with a twist. Guy loved the Reuben fritters because of their creamy "melt-in-your-mouth" flavor and the accompanying honey mustard horseradish. 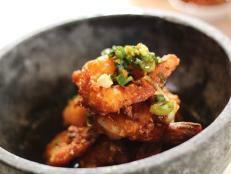 The Wild Thaiger is a Thai restaurant in Phoenix that gets playful with spicy flavors and classic preparations. 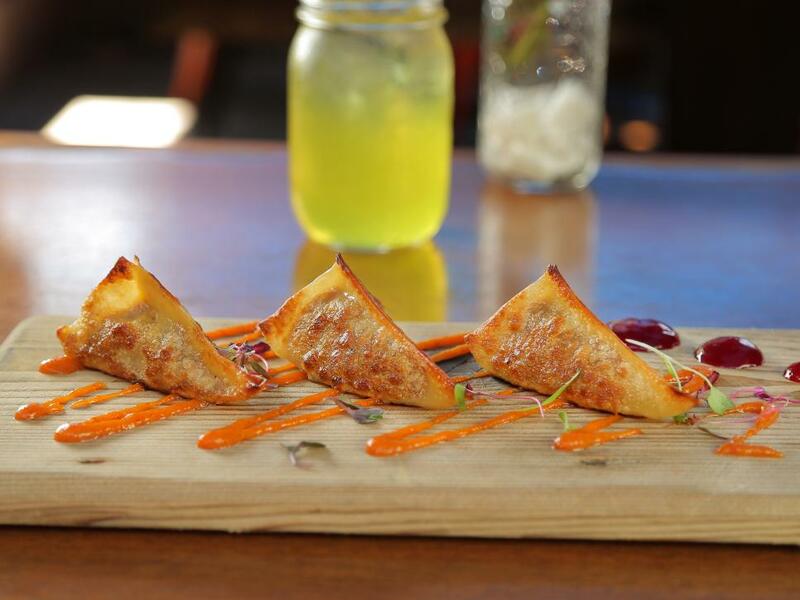 Their striking Dragon Eggz are acutally pork, crab and shrimp dumplings. New York chef Brian O'Conner trained in classic cuisine but ended up falling for fried chicken. 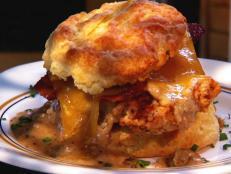 The dishes at Bok A Bok Fried Chicken & Biscuits highlight his love for the bird. 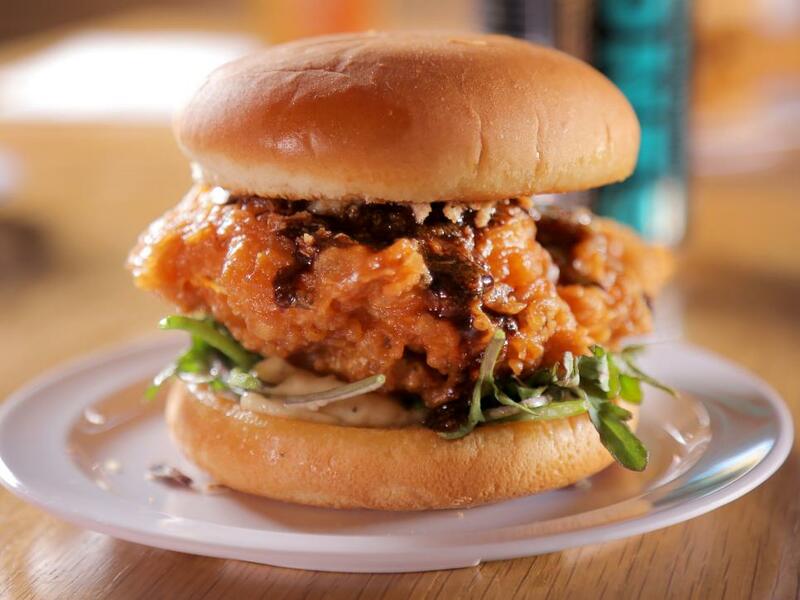 The Soy Sesame Garlic Sandwich is fried up until potato chip crispy, topped with sweet soy sauce and arugula and served on a roll spread with lemon aioli. 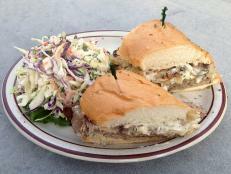 Ruins is Tony Brown’s own personal culinary Disneyland in Spokane, Washington. The menu is constantly changing but seek out the Dirty Fries and the Parisian-style gnocchi, made with a pate a choux dough instead of potato and then crisped up and tossed with Gruyere and tarragon. 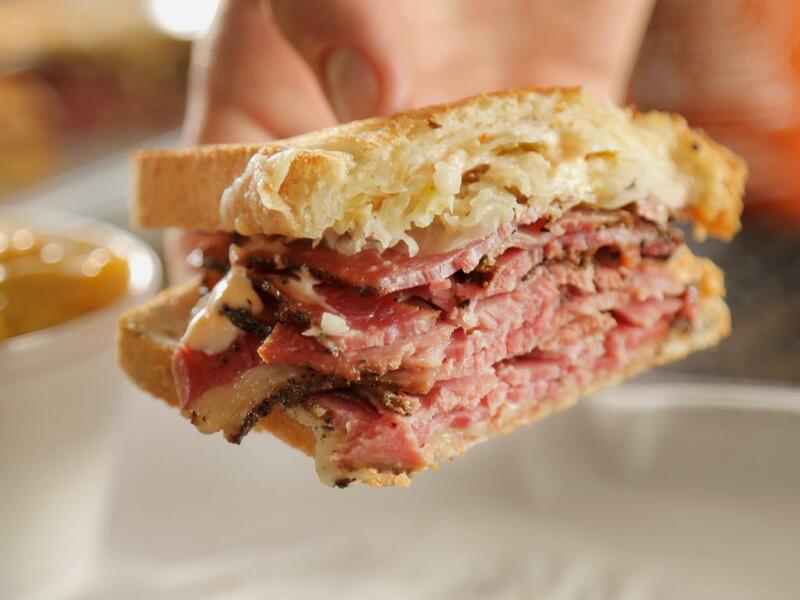 Dignowity Meats is what happens when an East Coast boy moves San Antonio, Texas and falls in love with barbecue but misses his classic deli sandwiches. 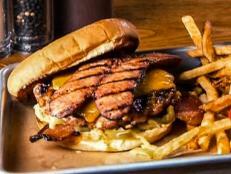 Chef Andrew Samia merges these two into his Burnt End Melt. Guy called the combo of hickory smoked prime angus brisket, mac and cheese, sliced pear and cheddar cheese, “a lethal weapon.” “You’d have to register this in Flavortown,” he mused. 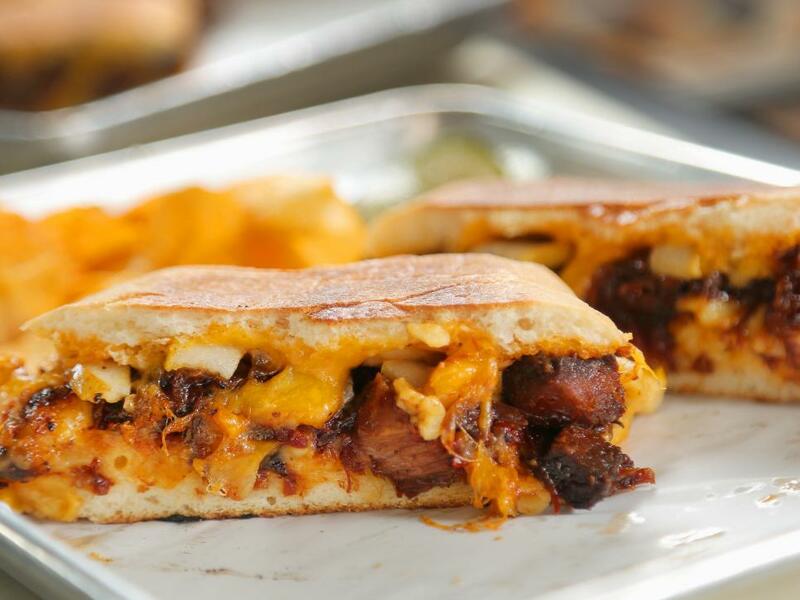 Dignowity Meats is what happens when an East Coast boy moves San Antonio, Texas and falls in love with barbecue but misses his classic deli sandwiches. Jack and Corri Sundell are taking the food business and DIY to a whole new level at The Root Cafe in Little Rock. 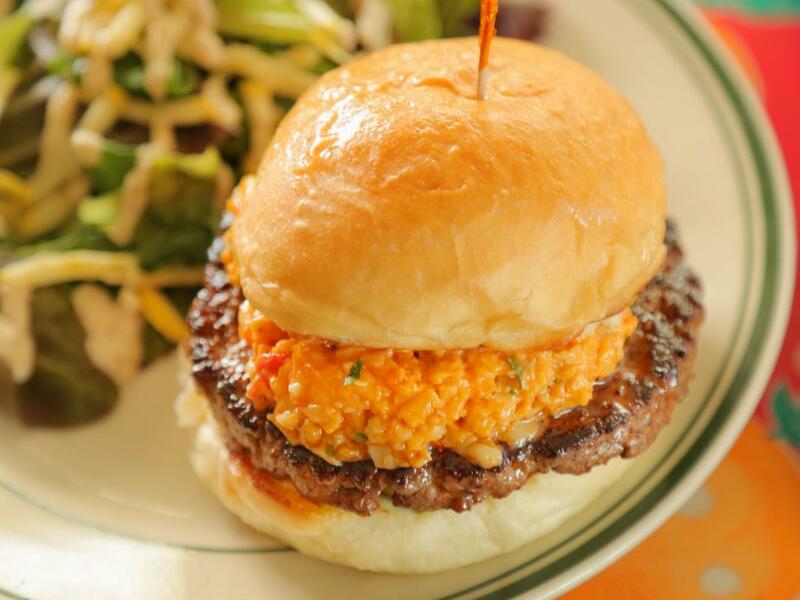 They grind the meat in house for the Pimento Cheeseburger and handle it as little as possible before it’s cooked, then top it with spicy pimento cheese, 14-day, house-made sweet pickles and garlic vinaigrette. 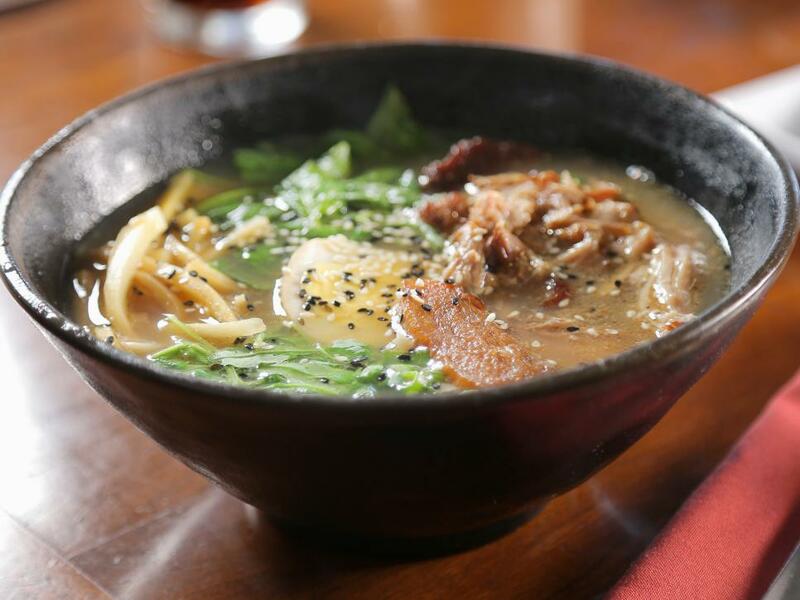 A Eight Noodle Shop in Napa, Chef and owner David Lu is putting out delicious Asian cuisine with fresh local ingredients. Guy loved the Kimchi Fried Rice with braised beef cheeks and the house-made ramen. Audrey Sherman combined her passion for pizza with the teachings of Tony Gemignani, the heavy weight champ of global pizza competitions, to create her popular pizza shop in Boulder, Colorado. 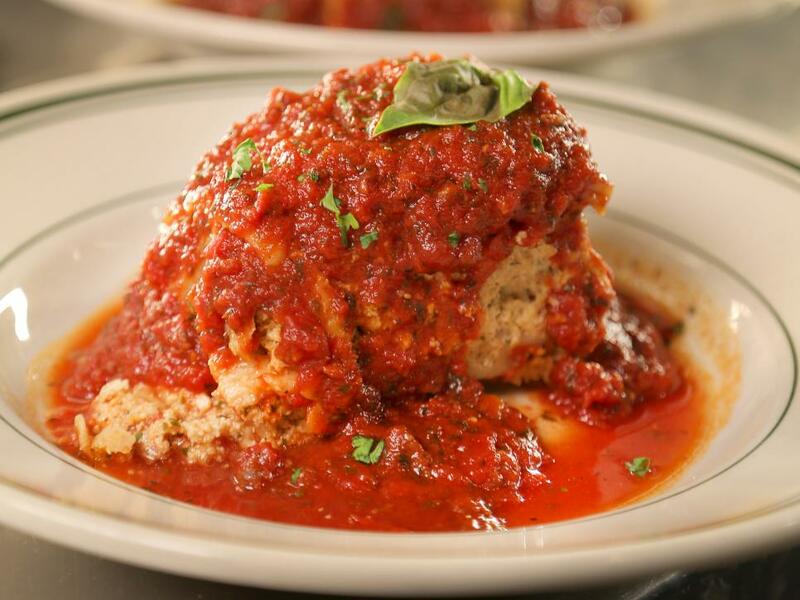 Her fabulous dough is the soul of her killer pies and is also used to make the roll for her massive meatball grinder. After 55 years in business, Catelli's in Geyserville, California closed in 1991. But in 2010, brother-sister duo Domenica and Nick Catelli reopened the restaurant and brought the old family recipes back to life. 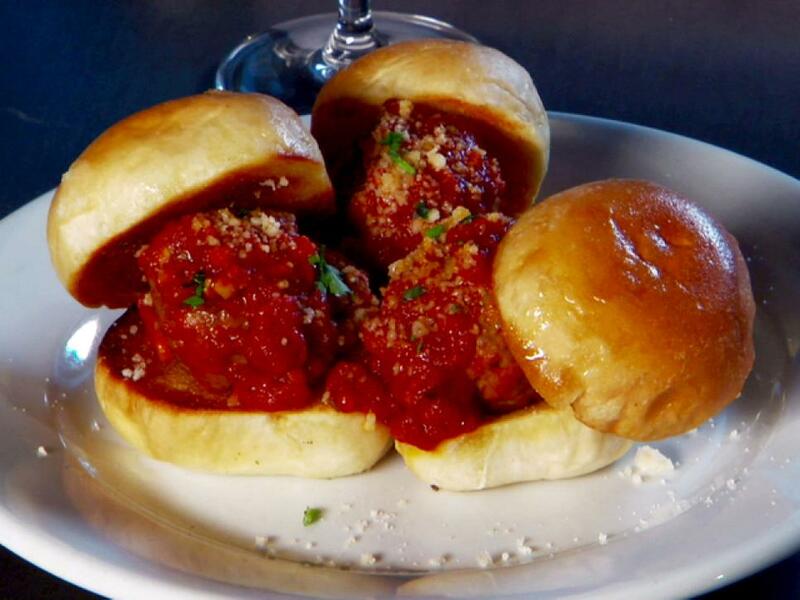 Guy stopped by for Jack's Covelo Beef Meatball Sliders and the handmade ravioli. 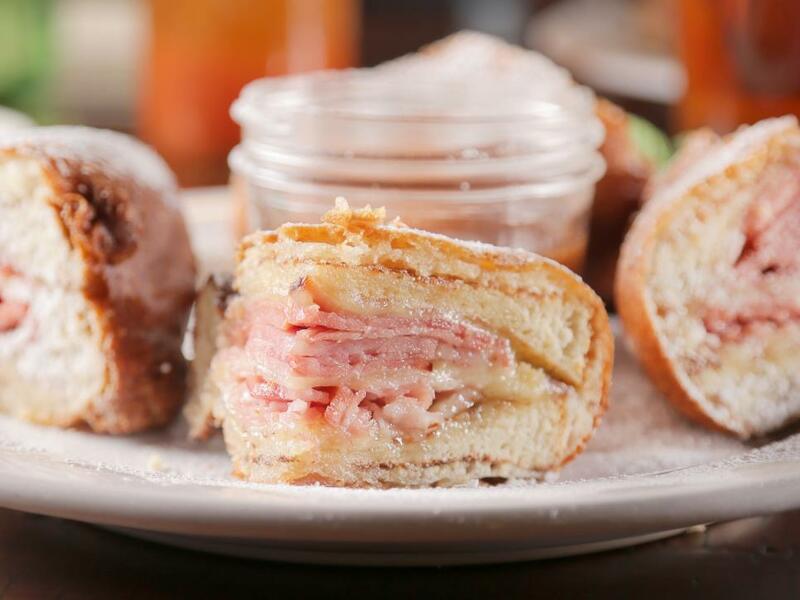 Chef and owner Angela Petro brings creativity and fun to the cuisine at Sweet Carrot. 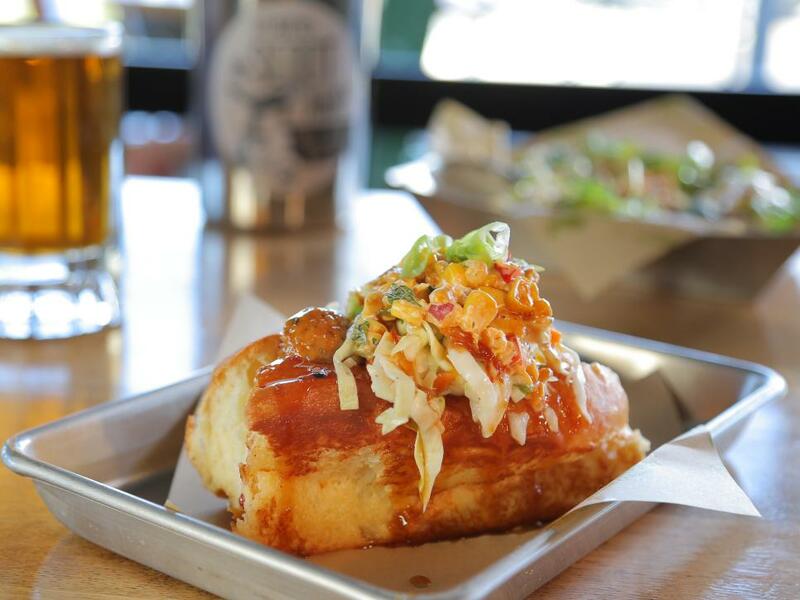 The gorgeous Ohio Chicken Meatball sandwich is drizzled with a slightly-sweet, sesame-ginger sauce and topped with house-made spicy, roasted-corn salsa. “I’d order that again for the next five years,” said Guy. 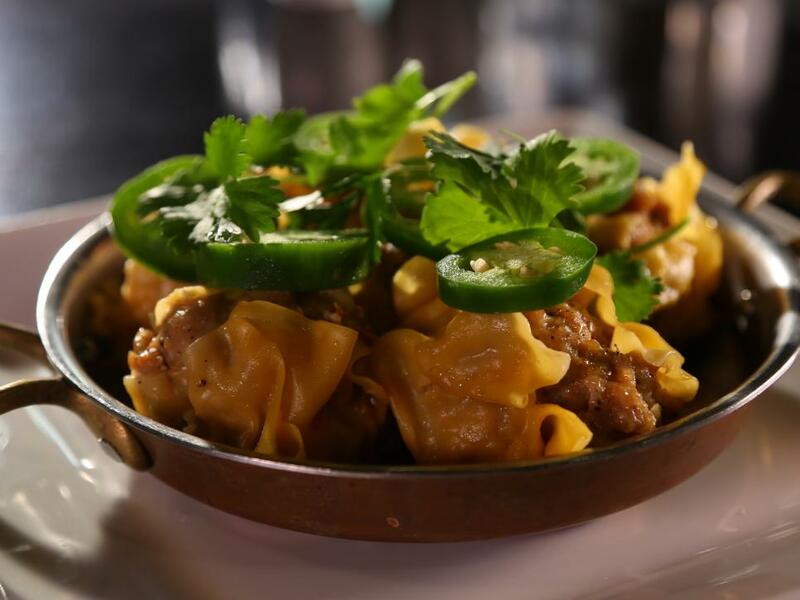 Red's Chinese brings New Orleans flavor to Chinese food with crawfish-packed fried wontons, tingly MaPo Dauphine with tofu, and Bywater Eggplant, spiced with gochujang. 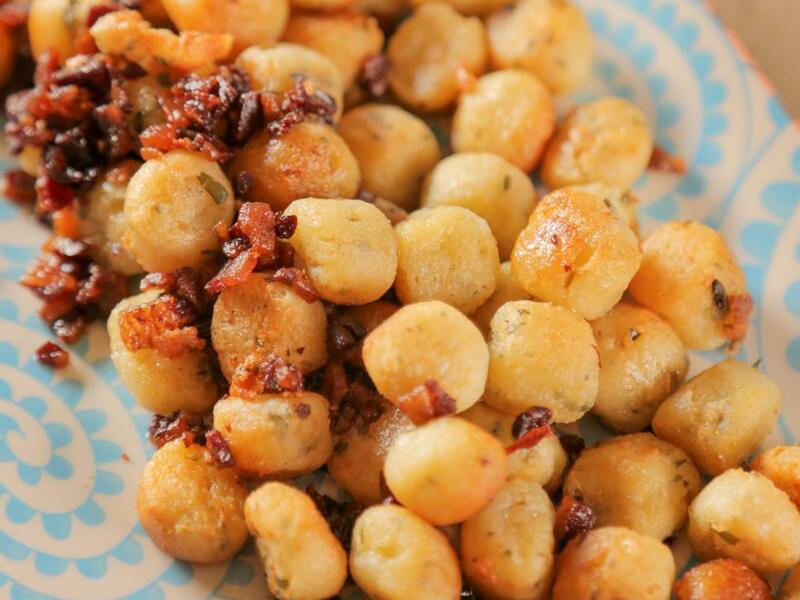 This dish is the mashup you never knew your life needed. 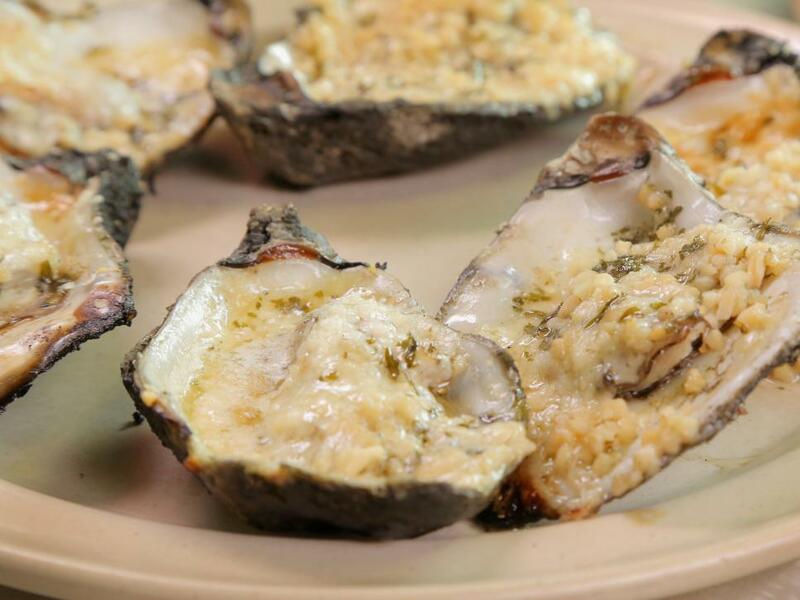 While the best thing to do would be to take a trip to New Orleans, follow the recipe below to make this at home. At ZAZU kitchen + farm in Sebastopol, California, Chef Duskie Estes and her husband Chef John Stewart are serving up true farm-to-table dishes with a creative flair. Their menus change daily based upon the ingredients they grow and source from the surrounding area. 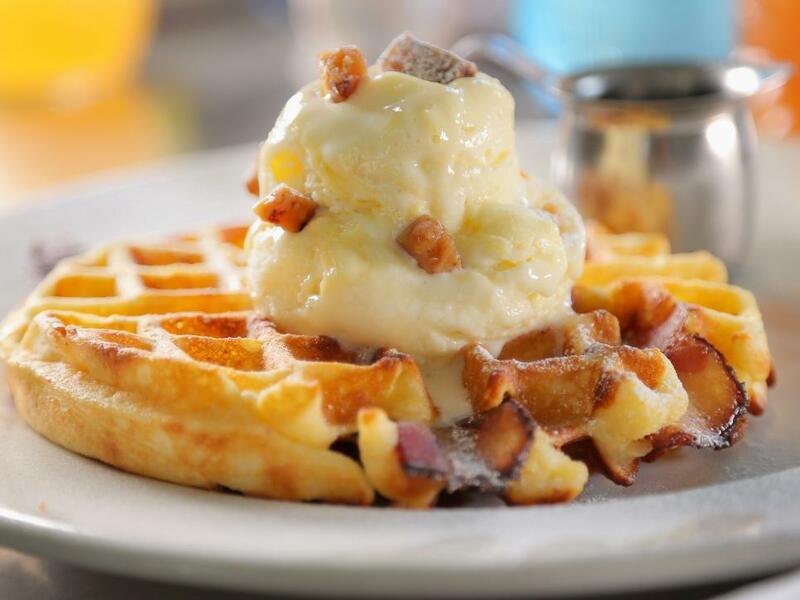 Guy loved their Bacon-in-the-Batter Waffle served with house-made bacon toffee and bourbon gelato. 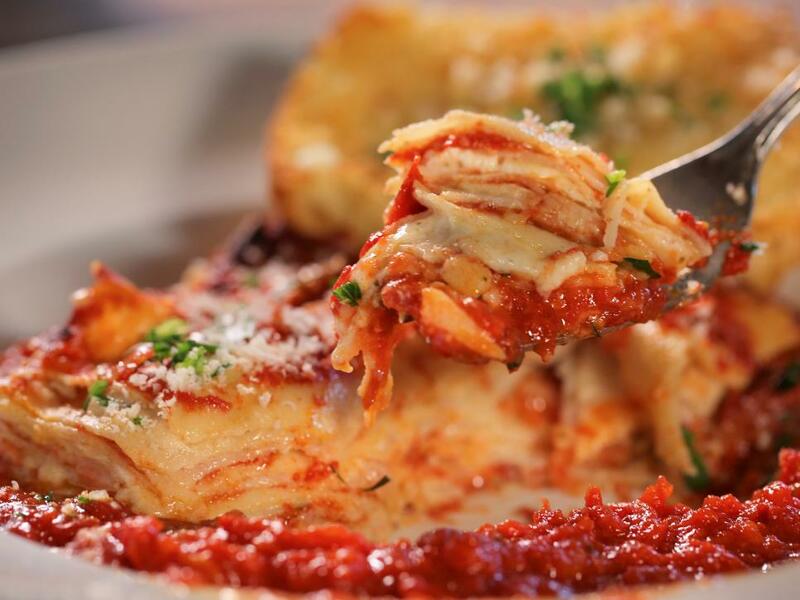 This towering lasagna from Bruno's Little Italy in Little Rock is packed with four kinds of meat and pounds of cheese. Brothers Vince Bruno and Gio Bruno are keeping tradition alive at the Italian restaurant that their father started in 1948 in Little Rock. 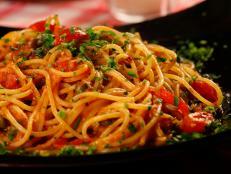 Generations of families return to this old-school joint where the classic Italian dishes hardly ever change. Piroshki on 3rd in Seattle specializes in Russian piroshki; they serve 20 different varieties of the savory, pastry-wrapped pockets. 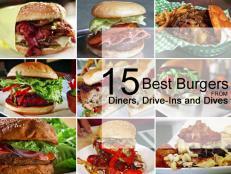 They are also dishing out traditional soups, dumplings, salads and more. 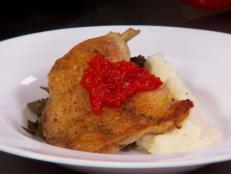 Guy gushed over the Pelmeni, chicken-filled dumplings in a steaming broth. 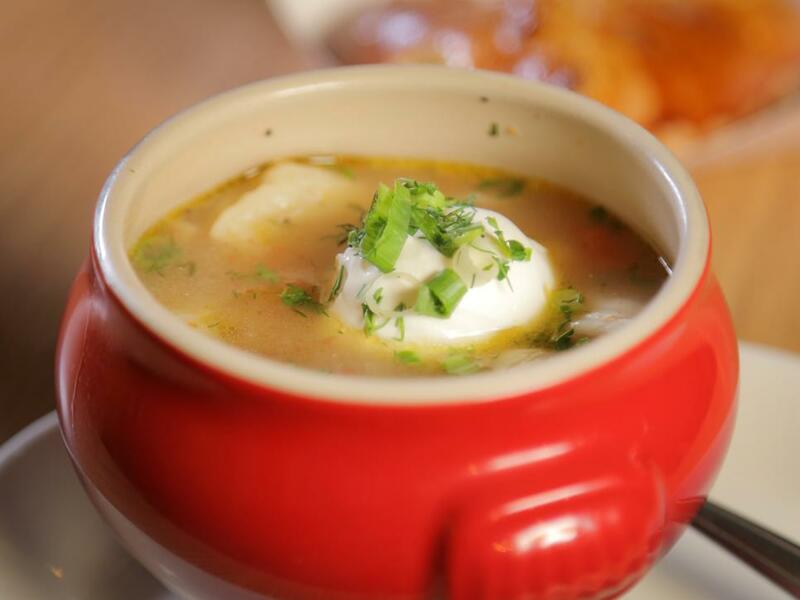 “I came here for the piroshki, but this soup is stealing the show,” he said. Chef Josef Driemel creates unexpected farm-to-table cuisine in a laid-back atmosphere at Fable Diner in Vancouver, Canada. 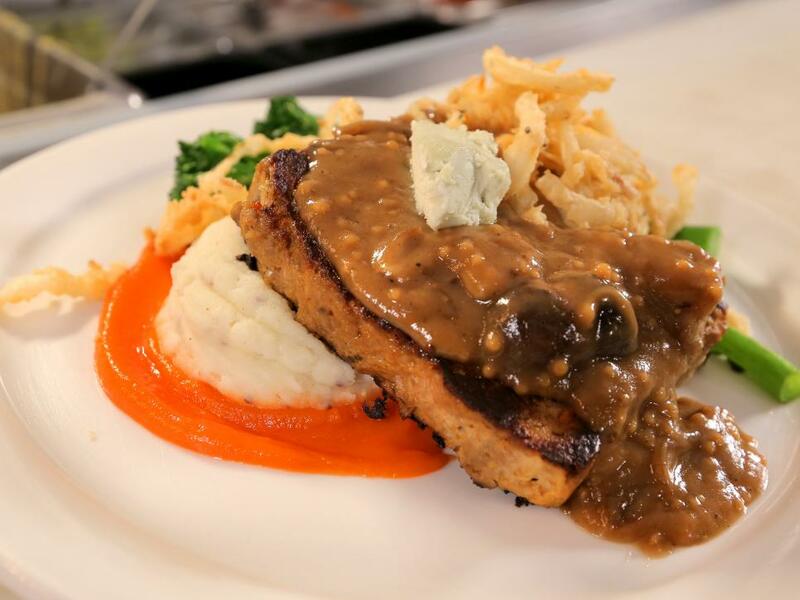 Guy raved about their Meatloaf with smoked mushroom gravy and caramelized onions. 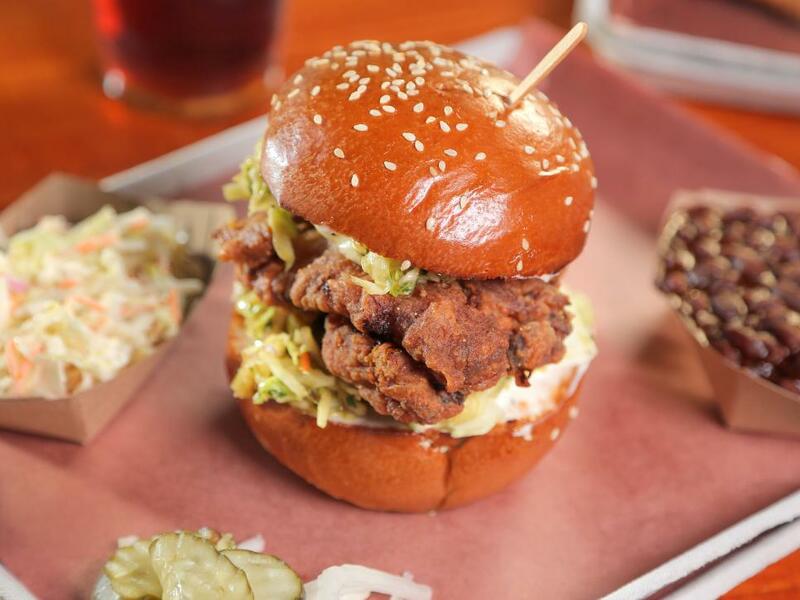 Sisters and Brothers Bar in Nashville hot chicken to Seattle. 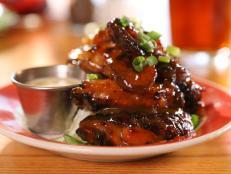 Dig into wings, tenders, white/dark meat or a half bird with your prefered level of spice ("lil bit" to "insane"). 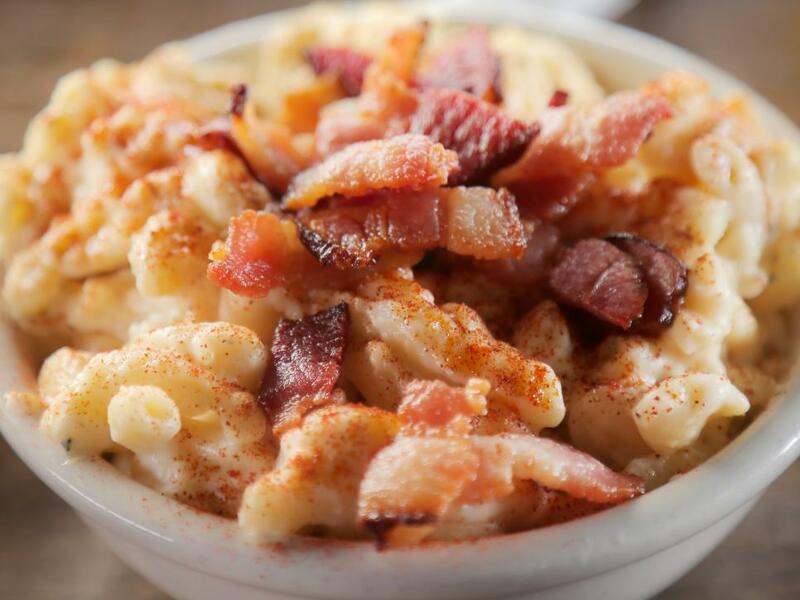 The restaurant also has a selection of Southern favorites, such as chicken and waffles, homemade biscuits and gravy, fried green tomatoes and this super-cheesy smoked gouda side dish. 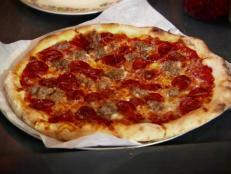 Pazzo in San Carlos, California puts its spin on classic Italian food with wood-fired pizzas and handmade pastas. 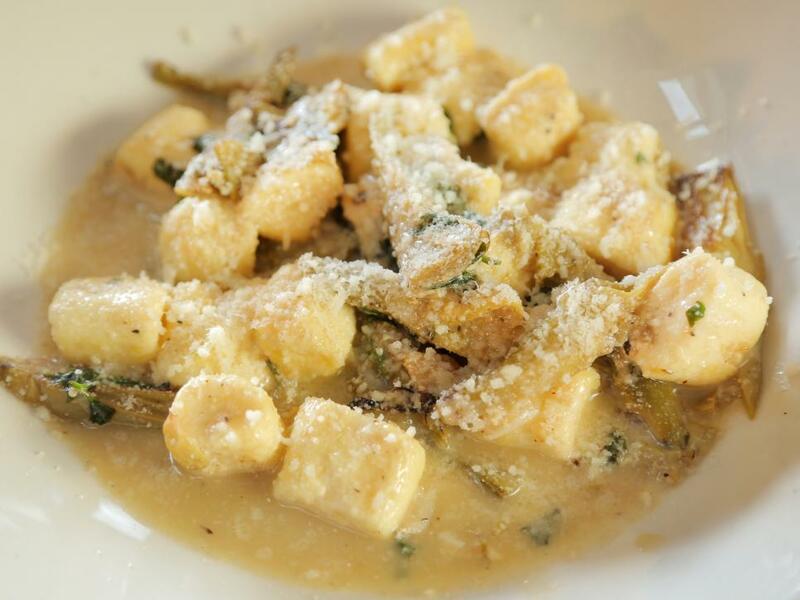 The restaurant makes a knockout Ricotta Gnocchi with Artichoke, Lemon and Mint that's absolutely worth your time and taste buds. Jack and Corri Sundell are taking the food business and DIY to a whole new level at The Root Cafe in Little Rock. 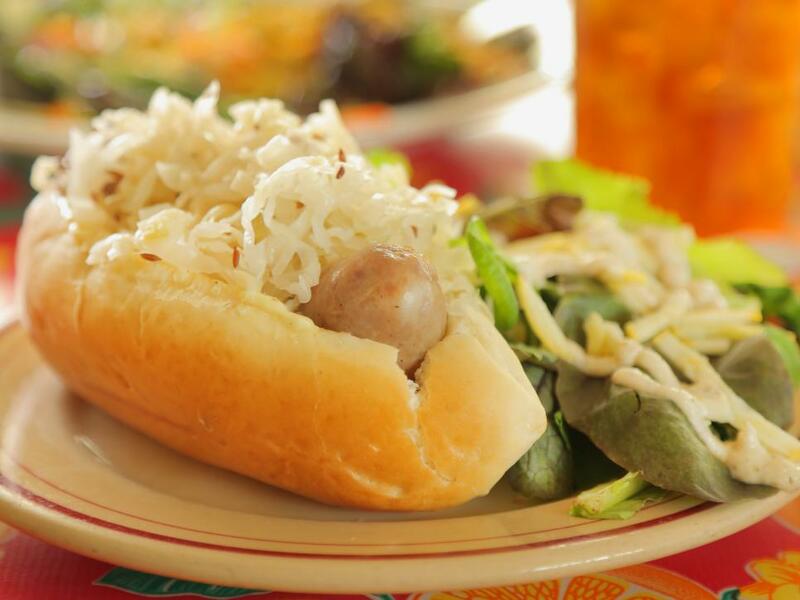 Guy loved the Old World-Style Bratwurst which is made by hand and then topped with this house-fermented sauerkraut. The sauerkraut should be ready after about 2 to 4 weeks, depending on temperature. After 55 years in business, Catelli's Restaurant in Geyserville, California closed in 1991. But in 2010, brother-sister duo Domenica and Nick Catelli reopened the restaurant and brought the old family recipes back to life. At Casamento's Restaurant, the raw oysters are "a tradition," says Guy Fieri. 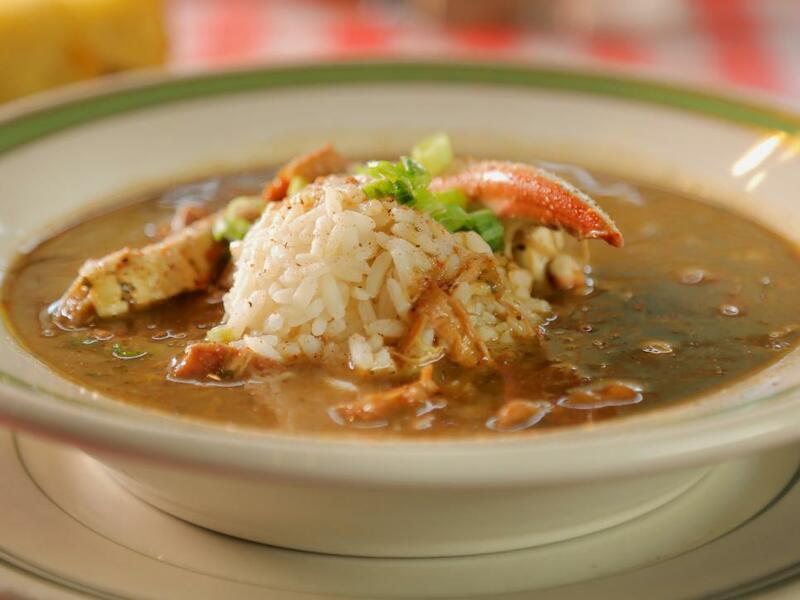 Family-owned since 1919, the classic NOLA establishment is also known for irresistible fried-oyster sandwiches, fried shrimp and soft-shell crab. 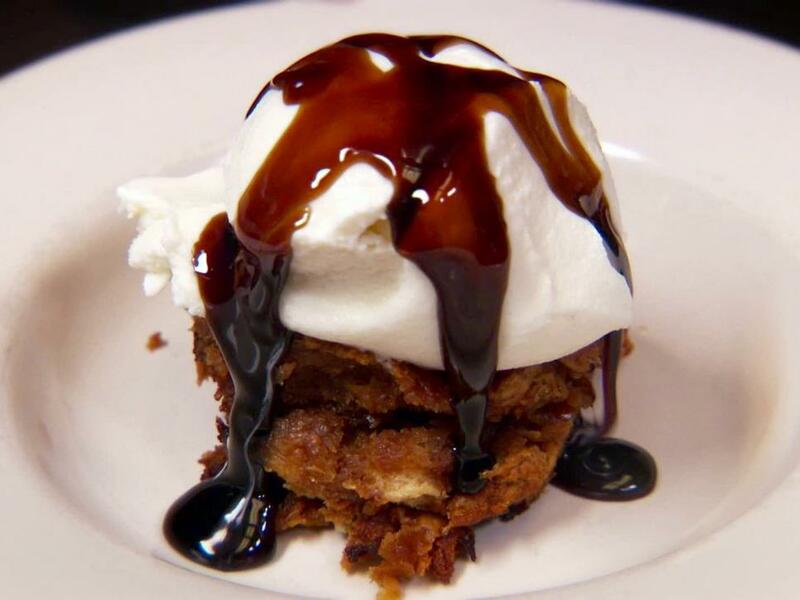 This decadent dessert from South of Beale in Memphis is inspired by the flavors of the classic combo of whiskey and cola. 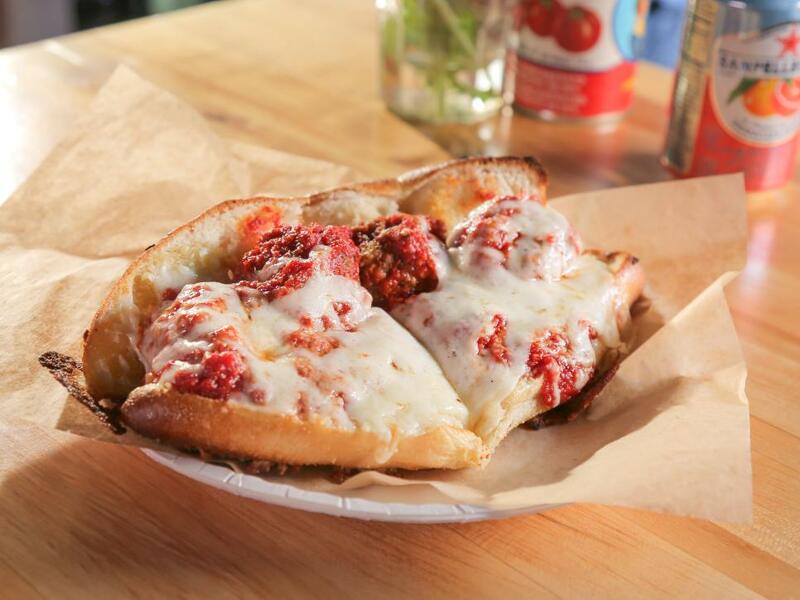 Fat Sal’s is everything health-conscious LA is not and deliciously so. 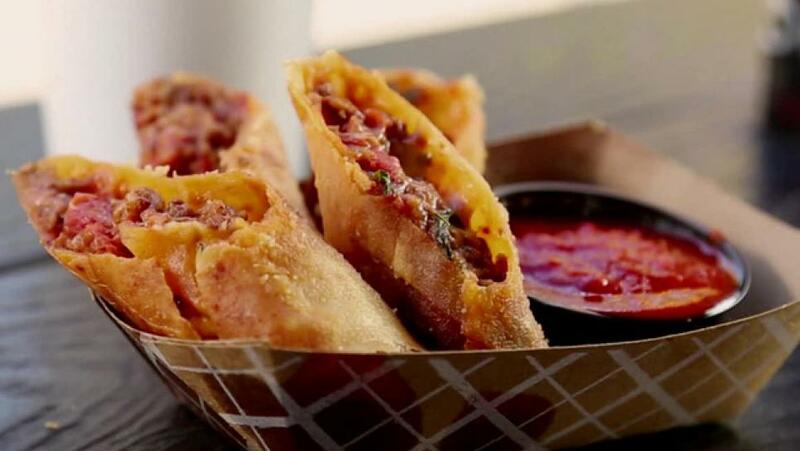 To make the ultimate Meat Luv’rz Pizza Rolls stuff spring roll wrappers with beef, pepperoni and sausage and serve with your favorite marinara sauce. Three different types of dried chiles go into one of the best chilis Guy has tried on Triple D. This 24th Street Cafe favorite simmers in the oven leaving your stove free for other purposes. 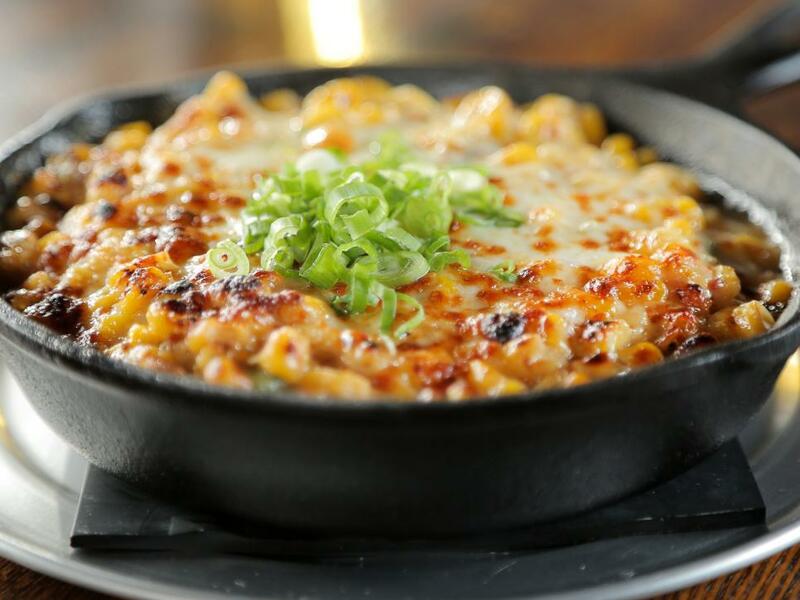 Once you get a taste of this unique combination of corn, cheese and bacon it will become your new must-have side. 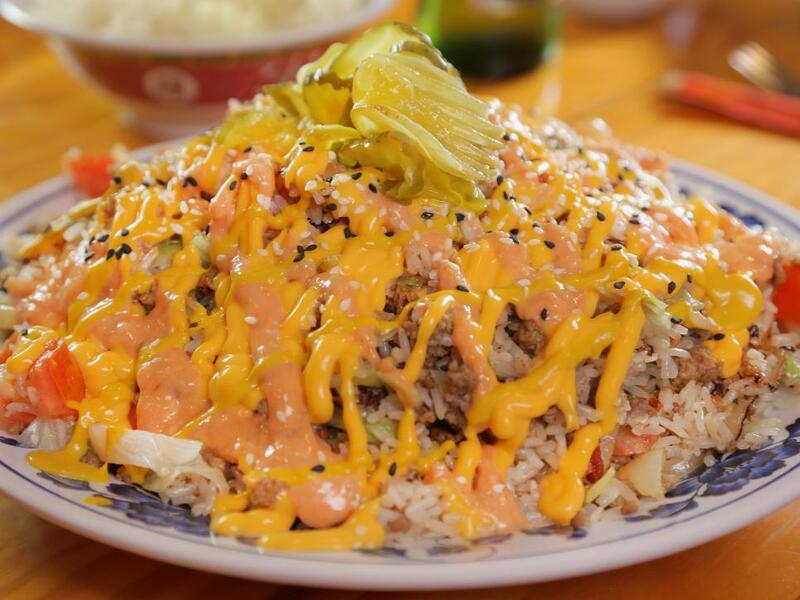 Guy loved this unique dish from The Bun Shop in Los Angeles, saying, "I've never seen anything like it." Just like mom used to make! 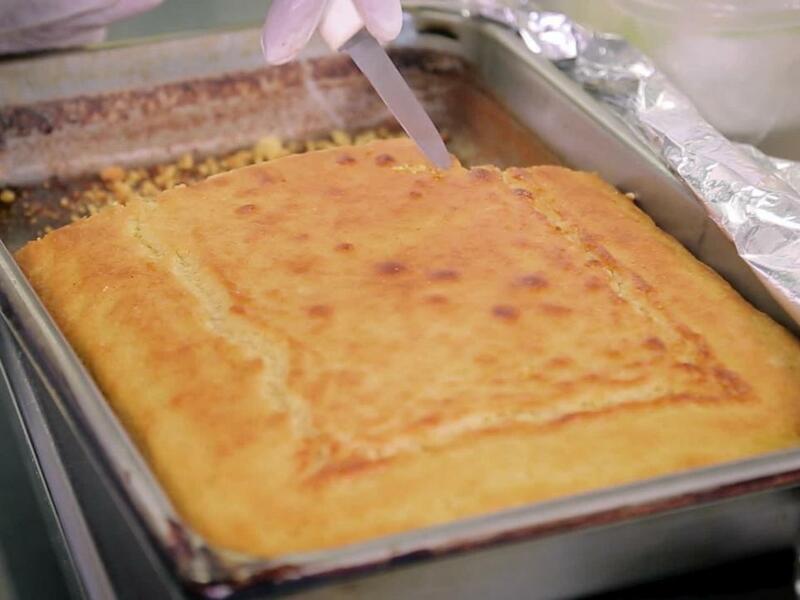 Try this comforting classic from Charity Boyd of South Side Soda Shop. 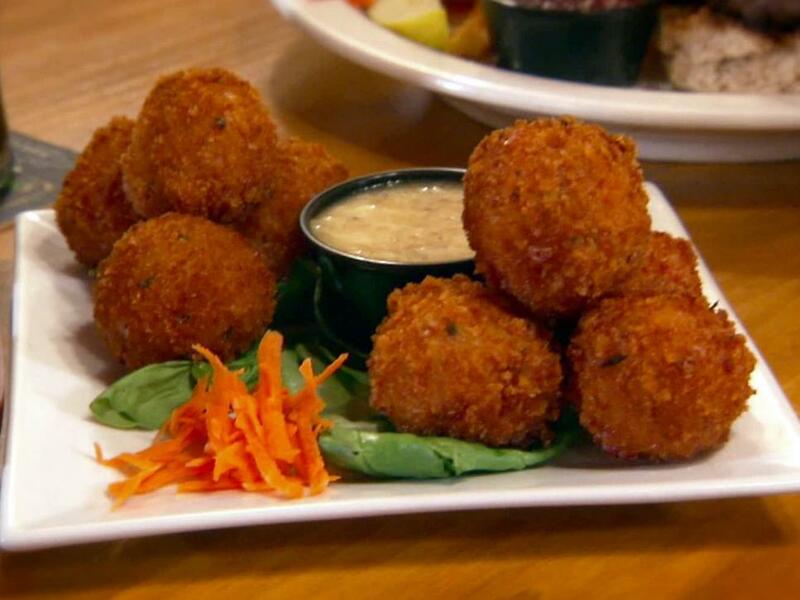 These crispy bites of smoked pork and shrimp from Bootleggers Modern American Smokehouse are drizzled with a house-made mango-chipotle barbecue sauce. Chef Phinsto Lama of Momo Ghar is cooking up Tibetan and Nepalese specialties in the middle of an international market in Columbus. 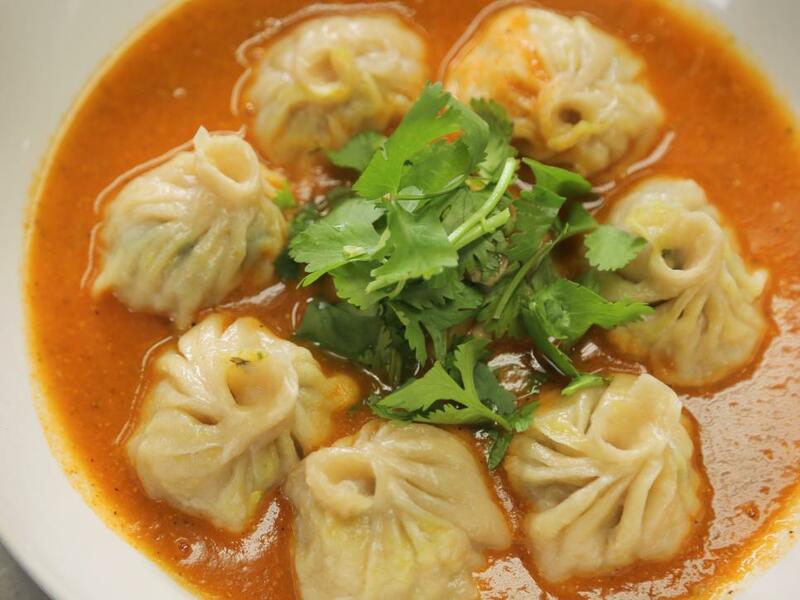 Learn how to make her signature Tibetan steamed chicken dumplings topped with a spicy fenugreek tomato sauce. Chef and Owner Kim Naka and her daughters are creating authentic Thai dishes in Boulder at Aloy Thai. 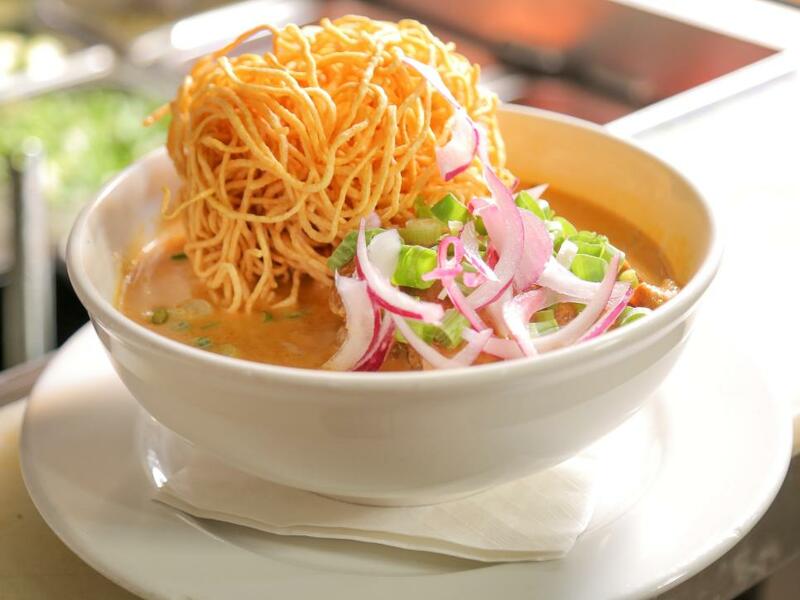 If you can't make it to Colordao, whip up this fragrant Kao Soi in your kitchen. 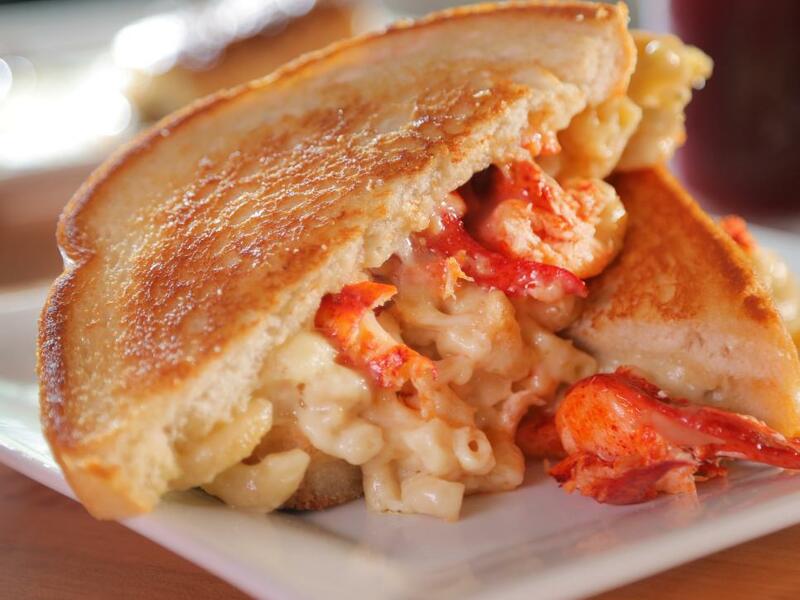 This sandwich from The Grilled Cheese Bistro is stuffed with gooey, three-cheese mac and cheese and lobster. 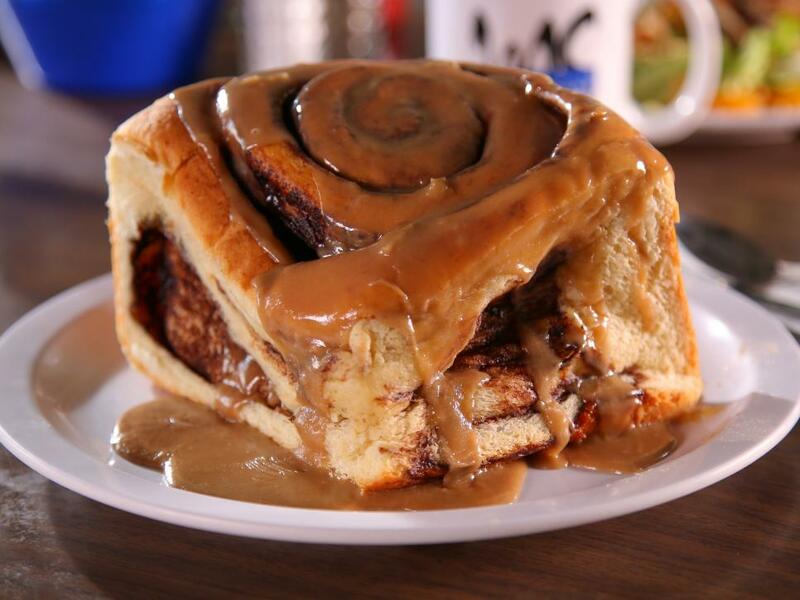 We hear it cures a hangover. Crowds line up for Hawaiian classics at this can’t-miss joint by the Maui airport. 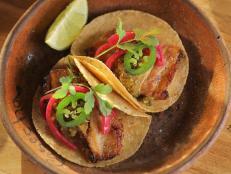 Da Kitchen's marinated short ribs are a standout favorite. Get the secret recipe for their homemade teriyaki sauce to make this lip-smacking favorite at home. 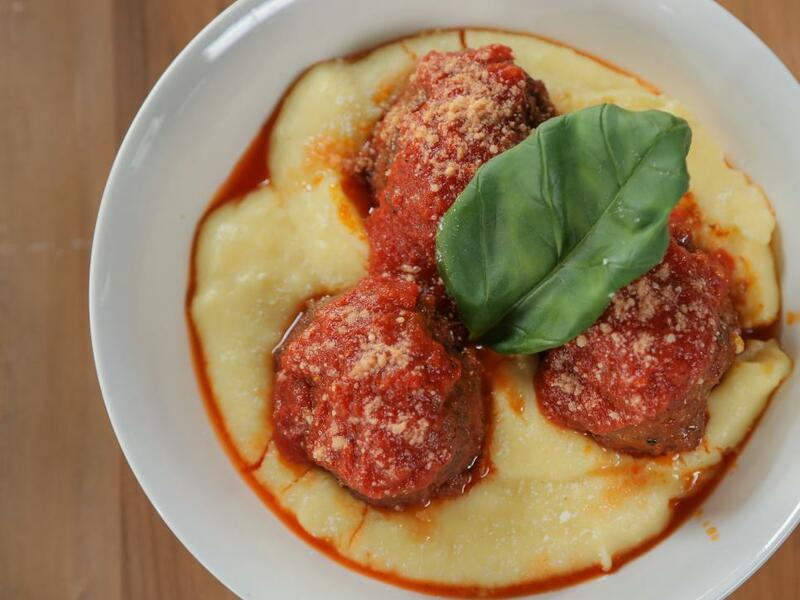 These traditional pork and beef meatballs from The Meatball Stoppe are simmered in a house-made Roasted Tomato Sauce. 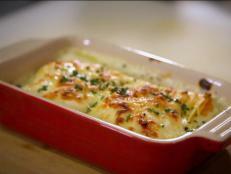 Serve them over creamy polenta to get the authentic restaurant experience. After teaching for 25 years, Chef Iris Ornelas followed her passion and opened Luna Rosa Puerto Rican Grill y Tapas in San Antonio to celebrate her Puerto Rican heritage. 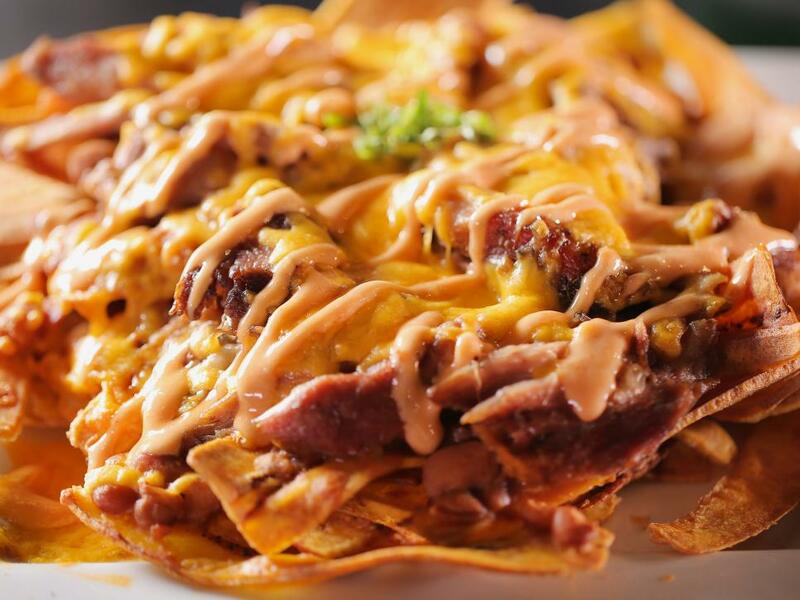 Her Caribbean Nachos are made with crispy fried plantains, instead of chips and are topped with roast pork, beans, cheese and chili sauce. Chef and Owner Mason Hereford somehow manages to make crazy, off-the-wall cuisine feel familiar at Turkey and the Wolf in New Orleans. 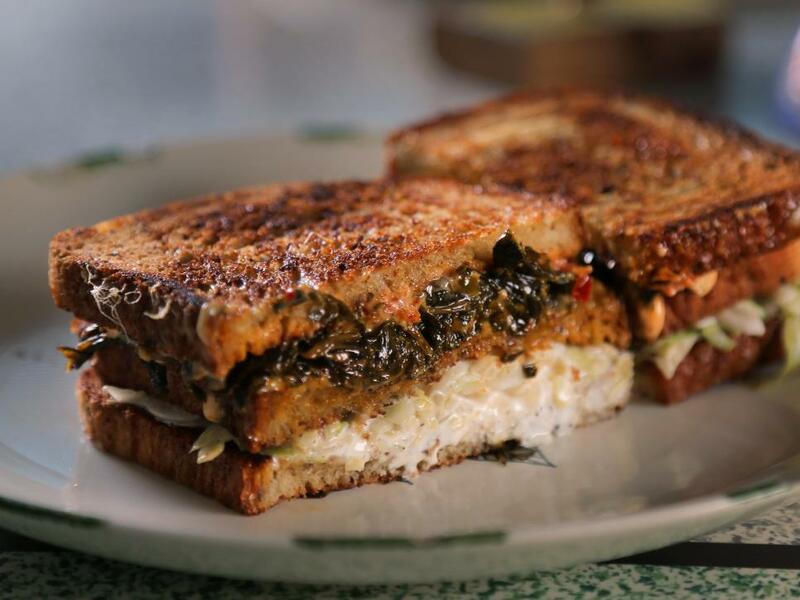 He makes homemade head cheese for the Hog’s Head Tacos and also serves a delicious vegetarian Collard Green Melt that tastes just like a Reuben. 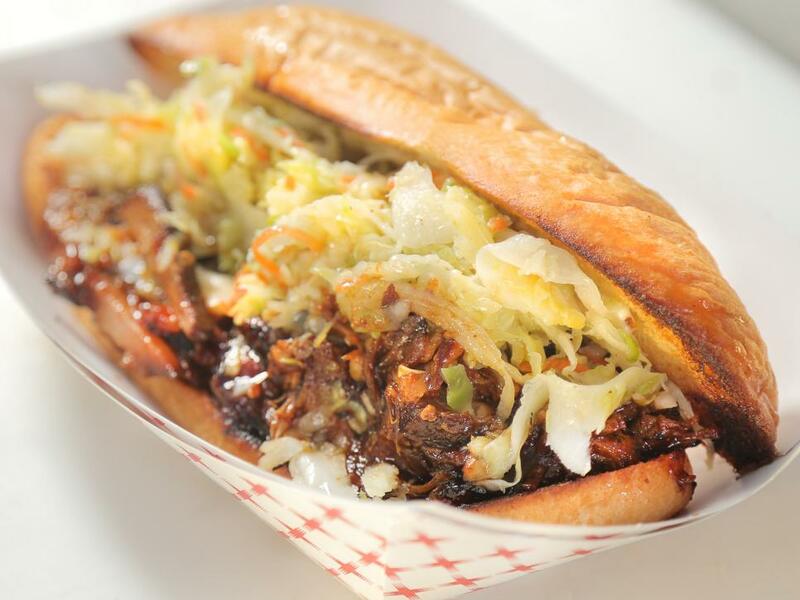 If you can't make it to Modesto to seek out Food Fix Truck, create their succulent Root Beer Pulled Pork at home. Rubbing the meat with salt and pepper a day ahead allows for more flavor development during braising. 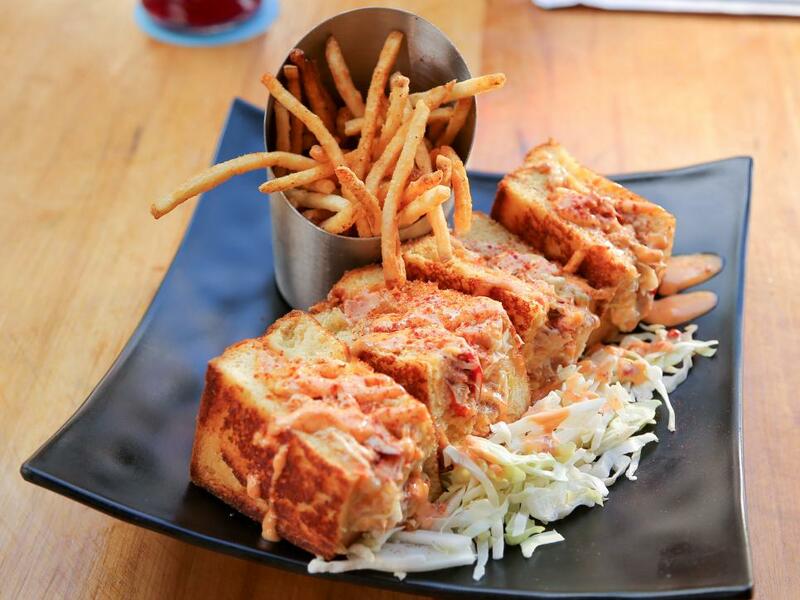 The best-selling dish at Down The Hatch in Lahaina, Hawaii is this absolutely decadent lobster and crab grilled cheese served on Hawaiian sweet bread and doused in lemon beurre blanc.